Rajasthan Subordinate and Ministerial Services Selection Board (RSMSSB) is accepting application forms by online mode for the Employment Exams 2018 of subsequent 1310 Sarkari Naukri job openings of Pre-Primary Teachers for Women and Child Development Department of Government of Rajasthan. 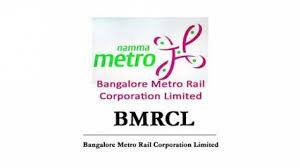 Bangalore Metro Rail Corporation Limited (BMRCL), a joint business enterprise of Government of India and Government of Karnataka is the Special Purpose Vehicle (SPV) delegated with the accountability of execution of Bangalore Metro Rail system. BMRCL is accepting application forms from capable and qualified personnel for appointment to subsequent government jobs engineering positions in the Project Wing. All appointments proposed will be on contract basis only.